How long are you willing to wait to sell your house? The whole process may take weeks and in all likelihood you will have to give it a few months. Even then you may not get the asking price you need to ensure a substantial return on your investment. 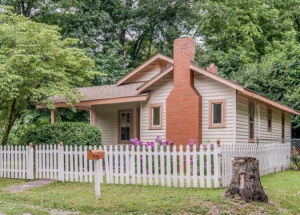 Selling a house is never a cakewalk, unless you have a really desirable property in a much sought after neighborhood in Nashville, Tennessee. Dealing with realtors and entertaining several homebuyers would also be taxing in many ways. There is no simple and easy way to sell your home. As convenient it is to list your property on some website, the process is equally inconvenient and in most cases uncertain. Actually selling your home is not a surety. The only way you can be assured of a sale and that it will be done quickly is by choosing Dependable Homebuyers. 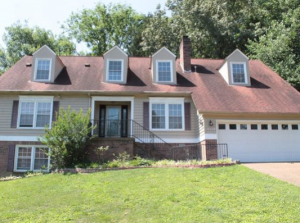 We buy houses in Nashville, Tennessee, and we do so immediately. Every property owner in Nashville has to overcome many hurdles to sell a house. Homebuyers may not be interested in your property or they may not be willing to pay the asking price. There may be a scarcity of interested home buyers. There are many properties listed and available for sale right now so home buyers have enough options. They will definitely shop around and find the deal they deem most suitable for their own interests. Your property may or may not be in an amazing location or in an ideal condition to entice and convince a few home buyers. You can hire realtors but they too would have to rely on the same discretions of homebuyers and their actions will be influenced by market conditions. The complex and unpredictable process can be avoided if you choose to sell your house directly to Dependable Homebuyers. We buy all types of houses in Nashville, Tennessee. We’re available to talk about your property at any time! Give us a call at (615) 257-7774 today. We’re local and would love to meet you at your property in person to talk about your options. 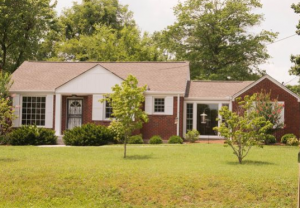 We at Dependable Homebuyers buy houses in Nashville, Tennessee. We are NOT realtors looking for homebuyers. We are NOT brokers or agents. We are NOT property developers who would assess your house within the plan of some grander scheme. We are NOT individual or usual buyers who would look for their dream homes. We are NOT banks or financial institutions that would delay funding a mortgage or any kind of investment that does not meet the stringent criteria etched in stone as lending policy. We have our own funds and we buy houses in Nashville Tennessee. We buy houses outright and in an as is condition. You do not need to put your property on the market, you don’t need to list it anywhere and you do not need to hire a realtor. You don’t have to deal with innumerable homebuyers either. There is no one else you have to deal with if you choose to sell your property to us directly. All you need to do is give us a call or you can write to us. One of our representatives will visit your home at a convenient scheduled time and we would make you an offer within twenty four hours. You can accept our offer and we would complete the sale within seven days. You can decline our offer and choose any conventional way to sell your property. Give us a call at (615) 257-7774 today! We at Dependable Homebuyers buy houses in Nashville straightway. We don’t rely on any classifieds, we do not use services of listing companies and real estate brokers. There is no agency involved or property dealers. There are no individual homebuyers in the process and market conditions do not influence our immediate decision. The real estate market may be on an upswing or it may be plummeting. You would get an offer from us no matter what. Since we do not depend on banks or mortgage companies, there is no third party that can influence our decision or our offer. We at Dependable Homebuyers would visit your property, carry out our own research and assessment, come up with an offer and you can make an informed decision. There are no repetitive visits and tours of your property. There are no costly exercises such as property inspections and appraisals. There is no waiting either. Most homeowners have to prepare themselves for a wait that is beyond their control as they are at the discretion of homebuyers. None of these variables are relevant when we buy houses in Nashville. Have you ever tried to sell your house or have sold a property in the past? If so then you are probably aware that you cannot get an offer in twenty four hours. You may get started with the initial steps to list your property or to consider hiring a realtor. You would definitely not get an offer. You may even find it difficult to hire a realtor or list your property on multiple relevant websites in a single day. You may be pleasantly surprised that we can present a purchase offer in twenty four hours. We would schedule a site visit after you call us and within twenty four hours from then you would have a purchase offer from Dependable Homebuyers. This is our standard practice whenever and wherever we buy houses in Nashville. Our executive will visit your home as per the appointment, get the basic details of your property and report back to our office. Our research team starts to work on a property immediately after the initial call. The team finds out everything that is relevant to the sale and prepares a detailed report. We assess building code approvals, registration and ownership, taxes and other essential particulars. We take less than twenty four hours to determine the fair value of your home and present the purchase offer to you. There is no uncertainty and there is no delay. It is not a matter of discretion whether or not you would get an offer. If you are the owner and there is no illegality pertaining to your property, then you will have an offer from Dependable Homebuyers. Our offer is completely free and nonobligatory. You do not pay anything to get the purchase offer. You are not obligated to accept the offer. You can decline the offer or you can accept it after you have considered your options. Whenever you accept our offer, we would take fewer than or up to seven days to close the deal. This is regardless of all possible influencing factors. If a homeowner accepts our offer on the very first day we present it, then one can practically complete the sale within the week itself. 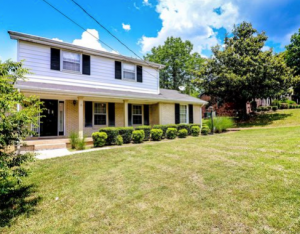 While we buy houses in Nashville in seven days, this may take longer if you or the homeowner is trying to sell a property that’s in foreclosure and we need to work with the bank to have the sale approved. Homeowners have to endure delays while selling a property because of a myriad of reasons. Dealing with realtors and homebuyers will be demanding. Every homebuyer will take their sweet time to make an offer or to respond to counteroffers. The whole process can take months. Many homebuyers find it difficult to deal with their banks or mortgage lenders. This too can cause unforeseen delays. Very little is in control of the homeowner so one has to wait. Such delays are not only discomforting but they can take a toll on the actual sale. Houses that remain listed for months, for whatsoever reason, tend to become less than desirable for prospective homebuyers. The resale values of such properties do take a hit in due course of time. You can avoid all such unfavorable real possibilities if you sell your house to Dependable Homebuyers. Dependable Homeowners doesn’t care if you’re looking to sell a home that is occupied by tenants or has been vacant for years. They buy houses fast in any situation. 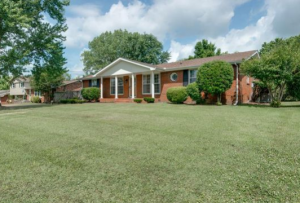 We buy all types of houses in Nashville, Tennessee. We do not have any stringent preference influencing our buying decisions. There are amazing properties and there are houses that are not in the best shapes or forms. There are houses with serious problems. Some houses are more desirable than others. Some locations are more convenient and some are not on the radar among most homebuyers. None of these factors matter to us as far as making an offer is concerned. The condition of the house and various other factors will always determine the fair market or resale value of a property but these issues will not deter us from making a fair offer. We actually buy all types of houses in Nashville, Tennessee. You may have a house of any size, design or layout, its exact condition may not be perfect or perhaps far from ideal, there may be a few strengths and many weaknesses, the location may be favorable or otherwise. If you were to consult a realtor or listen to an interested homebuyer, then you would be advised to invest in a plethora of renovations. Many realtors get homeowners to pay for property inspections and furnish appraisal reports. These appraisals are effectively futile as they make it almost imperative for homeowners to spend more money, without any assurance that they would sell the house quickly and at a much greater ask price. The renovation, remodeling, repairs or replacements and upgrades will take time. They would cost a lot of money and there may not be an expedited sale of the property. When we buy houses in Nashville, you do not have to renovate or remodel anything. You do not need any upgrade. You do not even need to fix any obvious problem. If there are some issues or shortcomings, let them be and Dependable Homebuyers would still buy your house. Usual homebuyers will always assess all factors based on their preference. Such an assessment is always subjective. There is nothing you can do to influence subjective assessments. Houses that are not in an ideal condition are always difficult to sell. None of these issues or variables matter because we buy houses in Nashville. It does not matter what type of house you have, where it is or how it is. Dependable Homebuyers will make you an offer and will buy the house if you accept the proposal. 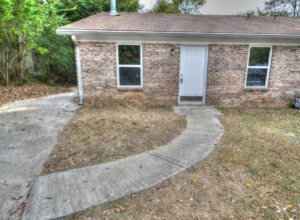 We buy all types of houses in Nashville, regardless of the condition. We accept simple issues and major problems, just as they are. We acknowledge unaesthetic exterior or interior but we do not turn away from houses simply because they are not the most enticing. We do not stay fixated over every glitch or all minor bumps. We have purchased all types of houses and we would continue to buy houses straight in as-is condition across Nashville. If you as a homeowner decide to sell a house and accept our offer, then we can attend to the paperwork and complete the sale within seven days. We do not charge you anything for our offer or any of the processed that we undertake. You do not pay for any property inspection. There is no charge for any type of appraisal. We do not charge any commission and there is no cost that gets passed on to you or deducted from the amount we are willing to pay, as mentioned in the purchase offer. There are no hidden clauses or terms of agreement. There is an upfront offer. You choose to sell your home and we choose to buy the property. We present an offer and you can accept or decline. It is as simple and straightforward as that. We would not ask you to change anything in your house. We buy houses in Nashville without preconditions. Give us a call or write to us and we can schedule an appointment. You can discuss everything you want with our executive during the site visit. We would follow up the visit with an offer in twenty four hours. If you accept our free and nonobligatory offer, we would proceed and complete the sale in seven days.